Early voting is not my thing. I prefer to vote on Election Day. 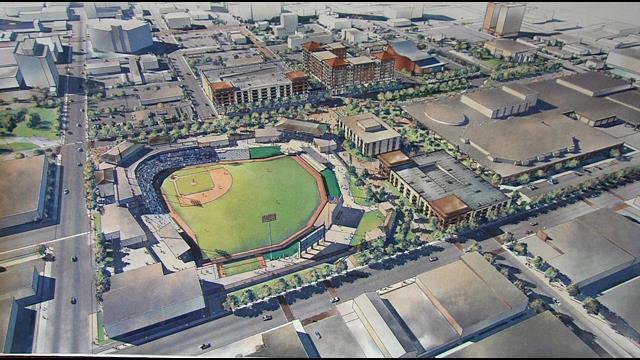 But I’m delighted at what I’ve read and heard so far about the early vote turnout for next Tuesday’s big municipal election, the one that decides the fate of the ballpark that’s included in the proposed multipurpose event venue planned for downtown Amarillo. It’ll be interesting once all the ballots are counted to learn (a) whether the ballpark fails or passes and (b) whether the total number of ballots actually produces anything resembling a “mandate” one way or the other. Years ago, Texas made it so very easy for voters to cast their ballots early. The idea then was to boost turnout in this state, which traditionally has been quite pitiful. From my catbird seat over many years, I’ve determined that the turnout really hasn’t increased; early voting, though, simply has meant that more voters cast their ballots early rather than waiting for Election Day. The MPEV vote might change all of that next Tuesday. That’s my hope, at least. At issue is that $32 million MPEV, which includes the ballpark. I’ve been all-in on this project since the beginning. It’s a good deal for the city on more levels than I can remember at the moment. It’s an economic development tool; it would provide entertainment opportunities; it would spur further growth downtown; it would help — along with the downtown convention hotel that’s also planned — remake the appearance and personality of the downtown district. The campaigns mounted by both sides of this issue have been vigorous. They have told the truth — most of the time. There’s been a bit of demagoguery from the anti-MPEV side concerning the role the one-time master developer, Wallace-Bajjali, has played in all of this. The developer vanished into thin air this past year over a dispute between the principals who owned the outfit. They parted company and one of them, David Wallace, has filed bankruptcy. This MPEV idea, though, was conceived long before Wallace-Bajjali entered the picture, but there’s been plenty of loose talk about nefarious motives relating to the company and its association with the downtown revival effort. I get that David Wallace proved to be “all hat and no cattle” as he sought to sell his company’s track record when he and his partner arrived on the scene. The planning and execution of this project has involved a lot of other home-grown individuals and groups who are invested deeply in this community. I want the MPEV to earn the voters’ endorsement. If it doesn’t, well, we’ll have to come up with another plan … quickly! As the campaign comes to a close, though, I remain hopeful that a significant number of Amarillo voters are going to weigh in with their ballots. Do I expect a smashing, presidential-year election-scale kind of turnout? Hardly. My hope is that all of this discussion — and even the occasional temper tantrums from both sides of the divide — will give us something that resembles a mandate. And that, friends, is how a democracy is supposed to work. All this talk over the past few days about the alleged mistreatment of the Republican Party presidential candidates by the “mainstream liberal media” brings something to mind. Let’s suppose as we travel down the primary campaign road that the Democratic field — or what’s left of it — decides to debate among themselves in a nationally televised event. What might happen if the moderators all turned out to conservative-leaning journalists? Believe me, there are plenty of them to go around. Imagine a panel comprising, say, Britt Hume, Jennifer Rubin and Byron York grilling the likes of Hillary Rodham Clinton, Martin O’Malley and Bernie Sanders. Hume is a regular panelist on Fox News Sunday; Rubin is a conservative columnist for the Washington Post; Byron York is a long-time conservative columnist whose work is syndicated in papers across the country. They’re all smart and savvy political hands. I’m trying to imagine how the Democratic National Committee might react to the tough line of questioning that such a panel would bring to a Democratic candidates debate. I’m not sure the DNC would allow such a panel to present questions to their candidates. Yet the Republican National Committee signed off on the recent CNBC-sponsored debate and the moderators chosen by the network to quiz the candidates on the debate stage. Still, there’s a part of me that wishes the DNC would agree to such an event, with that party’s candidates facing sure-fire relentless questioning on a whole array of issues facing the nation. I know it won’t happen. But I can dream … can’t I? Can it possibly true that the Republican National Committee doesn’t like its party’s presidential candidates to answer tough questions? Someone, tell me that’s not possible. The RNC has lashed out at CNBC and its parent network, NBC, by severing its relationship with the media outlet because of the nature of the questions asked by CNBC moderators this week at the GOP debate in Boulder, Colo. This means NBC won’t take part in future Republican debates. The questions weren’t “fair,” according to RNC chairman Reince Preibus. They were of the “gotcha” variety, he said. I happen to agree with the view that the CNBC moderators did a poor job during the debate. My issue with them was that the debate became a madhouse during its two-hour duration. Candidates were interrupting each other; they were interrupting the moderators; the moderators were interrupting the candidates. 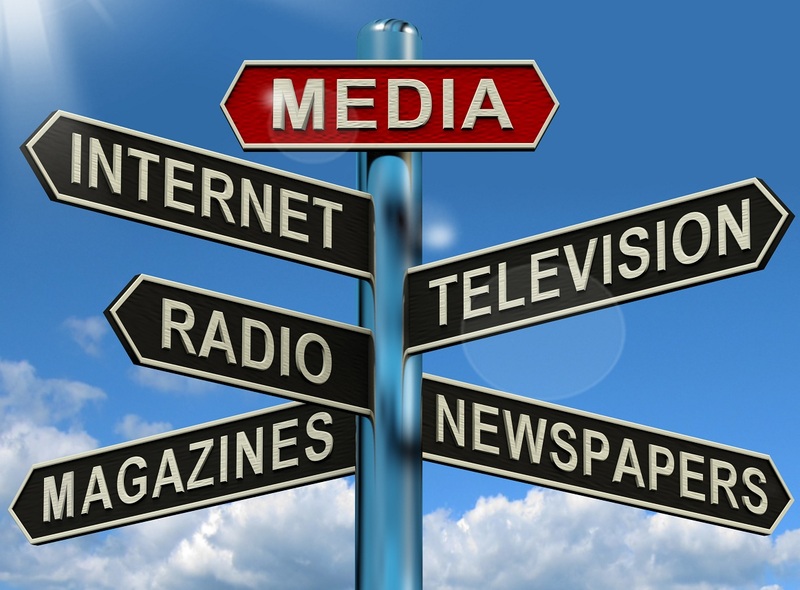 Then came the attacks from the candidates against the mainstream media and CNBC. 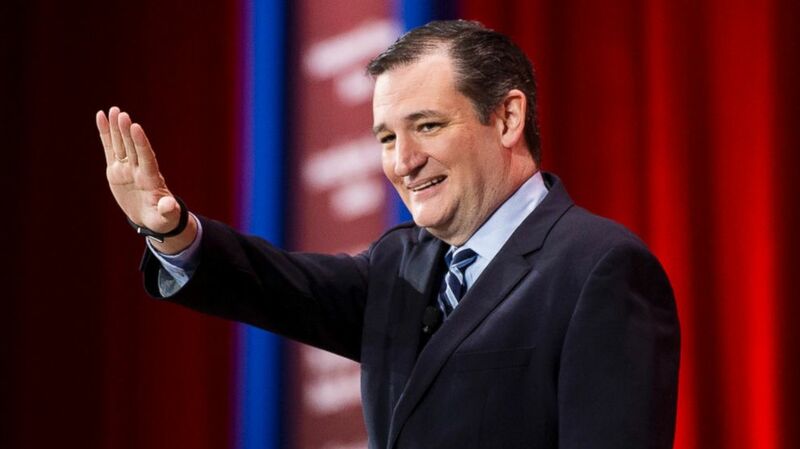 One of the candidates, Ted Cruz of Texas, then said he thinks Republican debates need to be moderated by pundits who are friendly to the GOP. Donald Trump said more or less the same thing. Look, the issue shouldn’t be the toughness of the questioning. What on Earth do any of these folks believe will await them if any of them gets elected president next year? Are they — and their political party apparatus — really fearful of tough questions that seek to determine the candidates’ ability to think on their feet and deal with unexpected occurrences? I cannot believe what’s happening here. The Republican National Committee needs to get a grip on what it is demanding of the media that cover its candidates’ quest to assume the most powerful office on the planet. Two of Texas’s largest egos have linked up. And when I refer to them in that fashion, that’s really saying something, given that the state is brimming with monumentally huge political egos. Grieder notes that Patrick and Cruz have had a “frosty relationship” for some time. Cruz is running for president and Patrick is backing him. Cruz also is huge pals with Gov. Greg Abbott, while Grieder and some other political observers think Patrick might have his eye on Abbott’s office when the 2018 election rolls around. There’s no telling what the next moment will bring. So, as Grieder notes in her blog, Patrick’s current alliance with the state’s junior U.S. senator puts Cruz in a potential bind if Patrick changes his tune, say, in the fall of 2017 and ramps up a campaign against Gov. Abbott. I think I’ll stay tuned to this one. Special forces to Syria? What’s next? Syria’s dictator, Bashar al-Assad, is our enemy. So is the Islamic State, which also is Assad’s enemy. Thus, Assad becomes our “friend” because the United States and Syria oppose the Islamic State? President Obama has just performed a major pivot on Syria. We’re sending about 50 special operations forces to Syria to assist the government in fighting ISIS. Does that mean we’re getting engaged in a ground war in Syria? The president says “no.” I’m not so sure. We’re putting “boots on the ground” in a place that’s been involved in a bloody civil war for many years now. I don’t like this change of direction. The issue of who’s our friend in the Middle East is complicated enough as it is. By my reckoning — and I’m sure many others — we have one true ally in that region: Israel. Many other nations’ leaders say they’re with us in the fight against ISIS. By and large, they have been — at best — not totally reliable. So now we’re going to reverse ourselves and commit a handful of ground troops to this terrible conflict. Are they going to be frontline forces? 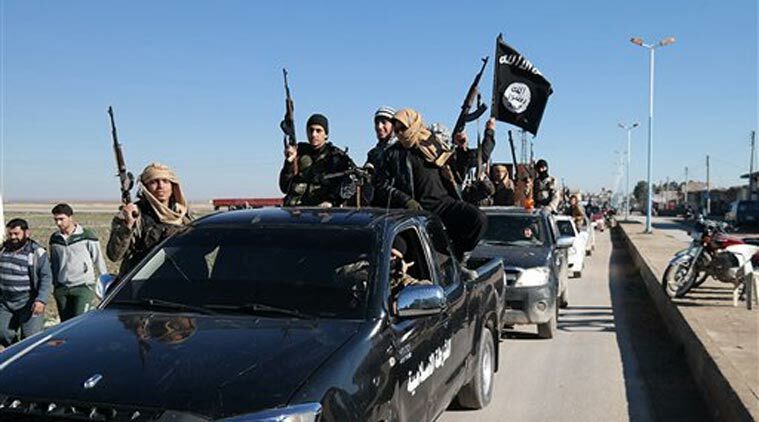 The Pentagon says no and that they won’t necessarily be thrust directly into harm’s way. What will the nation’s reaction be when we get word of the first person killed in action? And … for what? To assist a brutal dictator who our own president has said should be removed from power? City vote looms … what lies ahead? It’s good to look forward, yes? 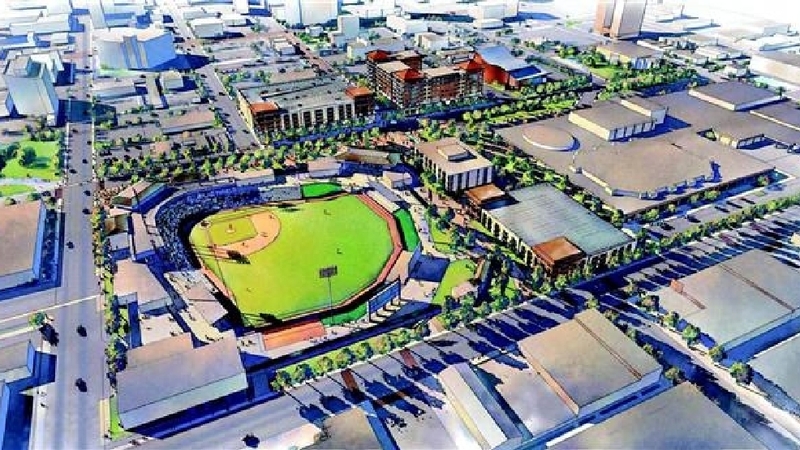 Amarillo voters are going to the polls Tuesday to decide a critical issue for their community: whether to build an multipurpose entertainment venue that includes a ballpark. I want the ballpark to be approved. I’ve been all in on the project from the beginning. Nothing has changed my mind about its feasibility, its potential or its actual benefit to the city. I’ve devoted much of this blog of late to making that case. Frankly, the issue has generated a lot of interest in the blog … for which I am quite grateful. 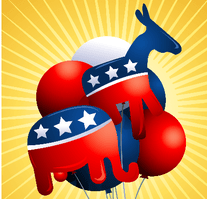 What lies ahead after the votes get counted? I am certain the MPEV will provide plenty of grist for future commentary. If the MPEV vote goes the wrong way, that is, if voters say “no” to it, I plan to keep beating the drums for some sort of venue that will be built on that abandoned property across the street from City Hall. Coca-Cola vacated the site and relocated at a new business park. The old distribution center is vacant. It would make a fantastic location for an MPEV. If the MPEV vote goes the other way, and is approved by voters, there will be plenty of affirmation coming from High Plains Blogger — depending, of course, on whether the City Council ratifies the vote and proceeds with construction of the $32 million project. The referendum is a non-binding vote. The council isn’t bound legally to abide by its result. Politically, it’s another matter. The five-member council comprises three members who don’t like the MPEV as it’s been presented. Yet they were elected this past spring after pledging to listen to their constituents. Do you get my drift here? No matter the outcome on Tuesday, I remain supremely confident that this issue specifically — and downtown Amarillo’s path toward restoration and revival — will give us all plenty to discuss. Is it really and truly the business of the Senate minority leader to comment on the attendance record of one of his colleagues? Harry Reid is a Nevada Democrat; Marco Rubio is a Florida Republican. Reid said this week that Rubio ought to quit his Senate seat if he’s going to keep running for president of the United States. Why does it matter to Reid? Well, it matters to Reid because it ought to matter to all Americans. Senator are federal employees. They get paid $174,000 annually from the federal Treasury, into which we all contribute with our tax money. 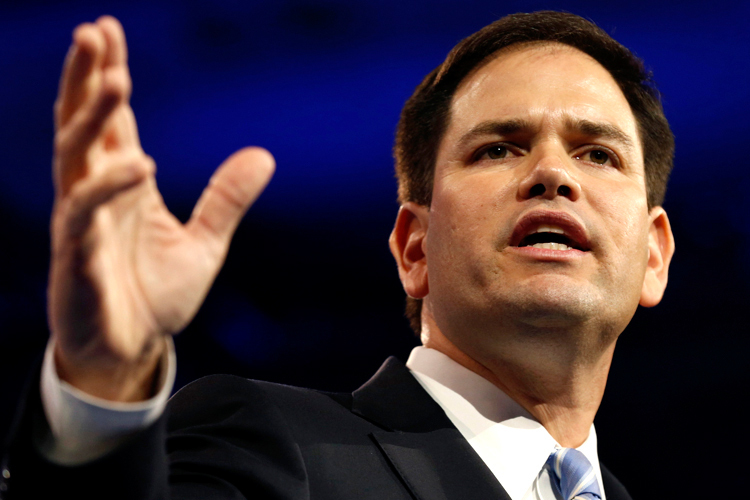 Rubio has indicated he doesn’t much like serving in the Senate. It’s too, um, tedious for the young man. He wants to become the Leader of the Free World, to make things happen in a hurry. He’s not seeking re-election to the Senate in 2016. Reid’s call is on point, as Rubio keep racking up no-shows on Senate votes. A newspaper in Rubio’s home state, the Fort Lauderdale Sun-Sentinel, has called on Rubio to quit. He’s ripping off the state’s taxpayers and his constituents, the Sun-Sentinel said. And this is a paper that endorsed Rubio when he ran for the office in 2010. Let’s be clear: Rubio isn’t the first rookie senator to take a pass on doing his day job while looking for a better-paying public service gig. Sen. Barack Obama did the same thing in 2007-2008 when he ran for president. Should he have quit his Senate seat when he ran for the White House? Yeah, probably. But that’s all water over the dam now. What’s on the table now is whether Marco Rubio should keep collecting that fat — taxpayer-subsidized — salary without doing much of the work that’s required of him. Hit the road, Sen. Rubio. Campaign for president all you want, but do it on your own time … not ours. Mention the name “Stanley Marsh 3” and you’ll likely get a variety of responses. Many of them — if not most of them — might be negative. The late millionaire is back in the news. He’s been dead for more than a year but he left behind some works of art that a number of individuals want removed. Why? The art reminds the alleged victims of Marsh’s misbehavior of the deeds the late “eccentric” committed. They want to rid the city of the art work. I heard about this last night. I slept on it overnight and have concluded: The art work should stay put. 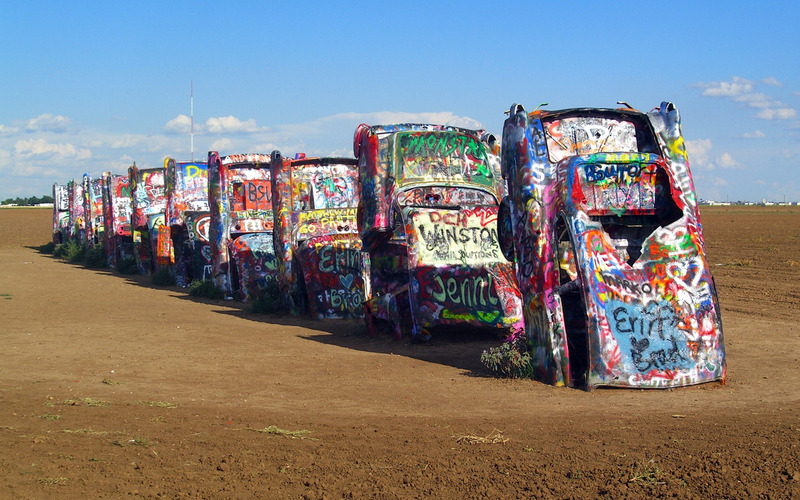 Yes, we’re talking about what arguably is the most iconic symbol of Amarillo: Cadillac Ranch. The Caddies have been sticking out of the ground west of the city for 40-plus years. They’ve become one of the city’s major tourist attractions. You mention to anyone in the world where you’re from and you might get a response like this: Oh, isn’t the city with that big steak and the cars stuck in the ground? I sympathize with those who are aggrieved by what Marsh has been accused of doing to them. Before his death and then afterward, allegations came forward about sexual misconduct involving Marsh and some teenage boys. Removing the art work won’t be a simple task. All of it — and that includes those ubiquitous lawn signs — sits on private property. The individuals who want to remove it will have to get the property owners’ permission to take it all down. As for Cadillac Ranch, I think that would be a gigantic mistake to wipe them off the Caprock. Eric Miller of the city’s Convention and Visitors Council, doesn’t want the cars taken down. They have become one of the more recognizable symbols of the city and they give us locals a chance to explain to visitors just what the heck they’re doing out there on that vast expanse of ranch land. One of my sons years ago posited this theory: They are hooked up to underground telecommunications devices that enable Marsh to communicate with extraterrestrials. I’ve long thought that Marsh was one of those individuals about whom you could say almost anything … and it would have the vaguest ring of believability. His art work ought to live on. Amarillo: Dysfunction capital of America? I like to think I’m careful when I read critiques about places from folks who don’t live in or near the communities they’re critiquing. When something comes across my radar, it’s good to check the background of the author. I did that when I saw a pretty scathing critique on a website called Route Fifty. The author is a fellow named Michael Grass. His background? His “about” page says he’s a former copy editor for Roll Call, a reputable political journal that covers Capitol Hill; he also has experience working with the Washington Post and the New York Observer. Grass has posted a pretty sizzling analysis of Amarillo. The bottom line? If you’re looking for a local government job and you want to move to Amarillo to fill one of the many openings posted at City Hall … think long and hard before you take the plunge. Amarillo, he says, might be the “most dysfunctional city” in the country. The city manager’s exit has caught Grass’s attention. He’s done some homework. Three new city council members — Elisha Demerson, Randy Burkett and Mark Nair — took office this spring. Nair then took the unusual step in calling for Atkinson’s resignation right away. Burkett demanded that the entire Amarillo Economic Development Corp. board be fired. Nair and Burkett backed off their initial demands. 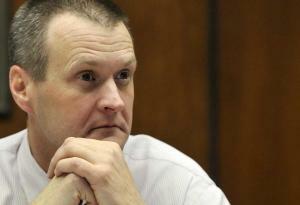 Still, City Attorney Marcus Norris quit; Assistant City Manager Vicki Covey retired. The new three-member majority then engineered a citywide referendum on a project that’s been in the works for years. The multipurpose event venue will be on the ballot next Tuesday and voters will get to decide whether the $32 million project should include a ballpark. The city is seeking to fill a number of senior administrative positions. The city attorney still needs to be hired. Same with an assistant city manager. The city charter gives the city manager the authority to make those decisions — but hey, we soon won’t have a city manager, either! The council has been bickering over budget matters, the future of downtown redevelopment, the status of non-profit organizations set up to help the city proceed with its downtown growth. You name it, the council has been fighting about it. Grass’s article wonders: Who in their right mind is going to step into that maelstrom? It’s a question many of us who live here have been asking. This is no big flash to most of you, I’m sure … but Facebook can be a pain in the backside. 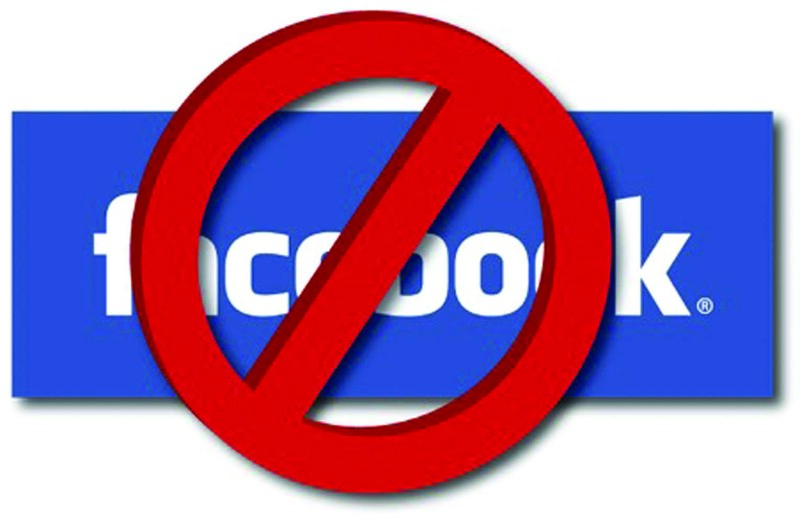 I have a longtime friend who recently “unfriended” me from Facebook. I noticed his absence, so I asked him: Was it something I said? You see, my friend — and he’s a real friend, not a Facebook “friend” — and I have differing political slants. I tilt left, he tilts right. I distribute this blog through several social media outlets; Facebook is one of them. My friend — who I’ve known for more than 20 years — occasionally would respond to my essays with a negative comment. I’m all wet, he would say. I don’t know what I’m talking about, he would declare. He’d lecture me on occasion about where I’m wrong and how he knows better. That’s all well and good. Then some of my other friends and “friends” would challenge my pal. He’d respond to them. They’d fire back. He’d return another volley. Back and forth they would go. Finally, my friend said, he’d had enough. He said his inability to refrain from responding to the critics made him feel “like a crackhead.” He became addicted to the need to answer them all. So, he quit cold turkey. Occasionally, I engage in exchanges with individuals who read this blog regularly. I appreciate their interest and I appreciate their passion in speaking out on issues that push their hot button. However, some of ’em do get a little too personal for my taste — particularly when they go after each other. It doesn’t bother my sensibilities if they aim their fire at my direction. I’ve been taken down by the best. After spending most of my nearly 37 years in daily journalism writing opinions, well, you kind of get used to it. It does make me feel badly, though, for my friends — namely my actual friends — who get run off by what they perceive to be rude behavior.